Station Eleven. Emily St. John Mandel. Vintage. When I recommend this book to customers, they are often wary when I describe it as a work of science fiction. Somehow, sci fi has become a dirty word among a certain literary set, signifying socially awkward middle schoolers and Star Trek conventions. 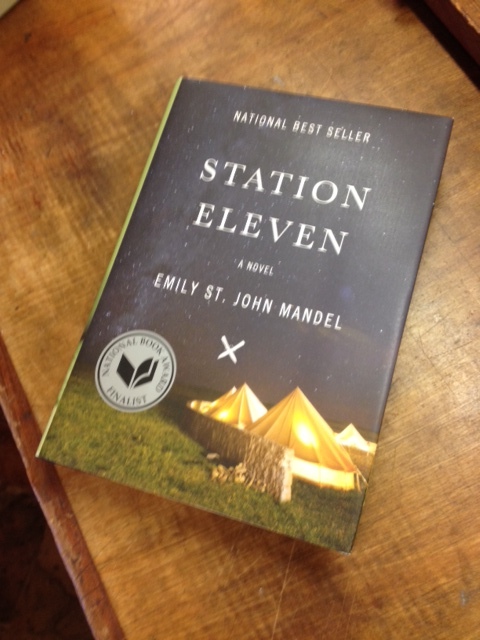 I want to join a growing group of readers in making a case for sci fi as an essential literary genre, and Emily St. John Mandel’s Station Eleven is a perfect example. A 2015 National Book Award finalist and a finalist for the PEN/Faulkner Award, this novel is undeniably literary in its scope. Mandel tells the story of the Georgia Flu, a deadly pandemic that wipes out 99.9% of the human population. The setting shifts among the weeks just before the pandemic, the days after, the years before, and twenty years afterwards. The tale follows Kristen, who was a child when the illness struck, and is now, twenty years later, a member of a traveling symphony, whose slogan, “Survival is insufficient,” comes from an episode of Star Trek: Voyager. One of Kristen’s only memories of the time before the plague is from a production of King Lear, in which she was a child actor alongside the movie star Arthur Leander. Leander, who is long-dead by the time of the novel’s present moment, links together a cast of unexpected characters who play roles of varying significance to the post-apocalyptic world: his best friend; his son; an ex-paparazzo; two ex-wives, one an actress, another an illustrator; and, of course, Kristen. As the story unfolds, the connections are revealed, while at the same time we learn more about the scope of this new world. Here, there is no electricity; no readily available medicine; no cities. People live in settlements, devoting their lives to the necessities of survival. Is justice achievable? Or is justice an ideal that we aspire to but find contentedness with partial completion? I was already a third of the way through law school when I learned that literature could help define this ideal we call justice. Reading case law taught me to read actively, but not every judge writes with the eloquence of Oliver Wendell Holmes, Jr., and judicial opinions are too narrow to define justice in a larger sense. 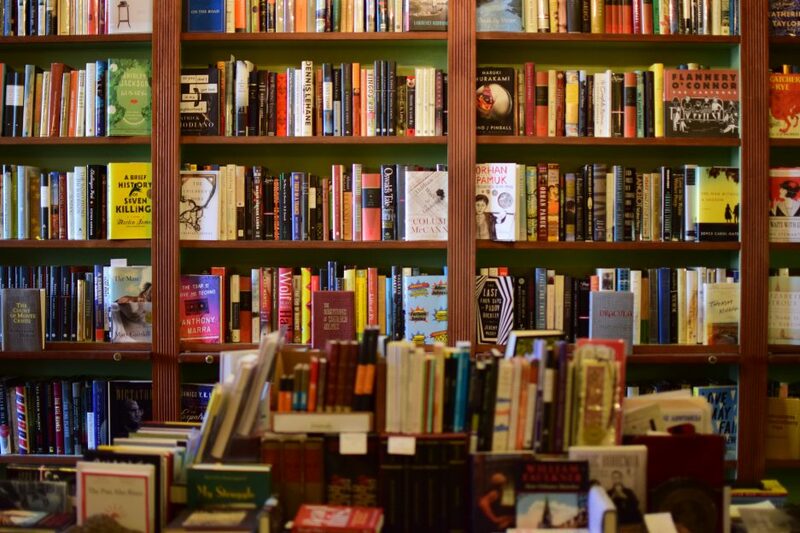 Alternatively, literature is timeless, and helps us cope with problems for which there are no immediate solutions. As a young boy, Faulkner attended courtroom proceedings and traveled around with his uncle, who was a practicing attorney. Faulkner, although not a lawyer, was a brilliant observer of the human condition and wrote about justice in many settings. Some great examples are found in a couple of Faulkner’s short story collections. Justice is the subject of other stories in Knight’s Gambit about Yoknapatawpha characters, townspeople and rural recluses, with Gavin Stevens leading the investigations and prosecutions. However, “Barn Burning” is perhaps one of Faulkner’s most famous short stories—first published in Harper’s in 1939 and now found in Faulkner’s Selected Short Stories (Modern Library, 2012)—that serves as a prequel to the “Snopes Trilogy” (The Hamlet; The Town; The Mansion). When the Snopes family arrives at their dilapidated tenant house, Abner goes to speak to the man who will “begin tomorrow owning me body and soul for the next eight months.” He takes Sarty with him through a grove of oaks and cedars to a fence of honeysuckles and Cherokee roses enclosing the landowner’s brick-pillared home. Inside, Abner ruins a hundred-dollar imported rug by stomping horse manure on it and, thus, becomes further indebted to the landowner. Yet again, Sarty must decide among competing senses of justice—justice under the law or justice for blood, that of his father. “Barn Burning” was the first of Faulkner’s works that taught me to look deeper into the fictional characters’ problems for help in answering my own, for help in considering societal questions posed in the newspapers and law school courses. Knight’s Gambit was a suggestion of Joe DeSalvo, the owner of Faulkner House Books, and although I do not agree with Gavin Stevens that justice is always unfair, I appreciate his honesty. Whether in literature or in the law, we need the reminder: justice is often an unequal composition of injustice, luck, and platitudes.